We are the company who let you book your tours, transfer service, car rental, hotels in Sabah via online. Allows you easily arrange your holiday trip to Sabah, Malaysia. We broke the mould when we created pioneer service "Pay on travelling day", plus "NETT price, NO hidden extras". We have huge success with these and became the index in the region. 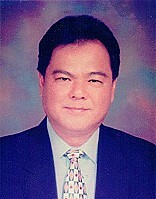 Our chairman active in Sabah's chambers of commerce, schools and societies. He is enthusiastic about education, highly respected and gained an excellent reputation in local community. 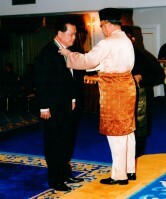 The heads of Sabah State, Yang di-Pertua Negeri, canonized A.D.K. 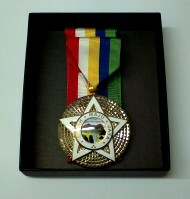 Medal (Ahli Darjah Kinabalu) in recognition of his achievements. Make our guests aware that they are connecting with "the number one travel agency in Sabah". We want our guests get the best out of Malaysia. We want create them more memories on a Sabah holiday. Therefore, we always have to go one step further. By offering clear prices, full details, instant response and using our local knowledge, technology, experience and contacts, we are proud to serve our customers with most variety of choice. To be the preferred inbound travel agency by both F.I.T. and group guests. At Sabah Booking, our customers' needs are our focus. We listen closely, and provide timely and effective support for every situation. Our dedication to service goes well beyond simply answering your questions. We provide value-added services and information that ensure the success and integrity of your holiday. No more complicated and confusing, we make your trip to Sabah hassle free. We are the first to provide online booking in Sabah - the real online booking. Check price ONLINE, pay ONLINE. Covered of tours, hotels, car rental and transfer service, all stuffs you need when you travel to Sabah. First-time visitors are welcome! We provide full range of information make you travel to Sabah like a pro.